Invesco Ltd. is an independent investment management company that is incorporated in Bermuda, headquartered in Atlanta, Georgia, United States, and has branch offices in 20 countries. Its common stock is a constituent of the S&P 500 and trades on the New York stock exchange. Invesco operates under the Invesco, Trimark, Invesco Perpetual, WL Ross and Powershares brand names. INVESCO (all caps) was created in Atlanta in 1978 when Citizens & Southern National Bank divested its money management operations. In 1988, the company was purchased by the British company Britannia Arrow, based in London, which later took the INVESCO name. 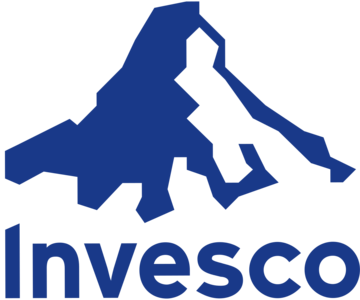 In 1997 INVESCO PLC merged with AIM Investments. Upon completion of the merger the company adopted the name Amvescap. Since 2000 Invesco has grown through acquisitions such as the ETF firm PowerShares Capital Management and the restructuring of WL Ross & Co. In May 2007 the company changed their name to Invesco (initial cap only) PLC, moved its primary stock market listing from the London Stock Exchange to the NYSE and became domiciled in Bermuda, adopting the name Invesco Ltd. As a result, the company's shares were withdrawn from the FTSE 100 Index and added to the Russell 1000 index. In November 2007, Invesco moved its headquarters from London to Atlanta. On October 19, 2009, Invesco bought Morgan Stanley's Retail Unit, including Van Kampen Investments for $1.5 billion. In April 2010, Invesco Aim became Invesco. Later that year, it was reported that Invesco had plans to introduce a Risk parity commodity fund according to regulatory filings.